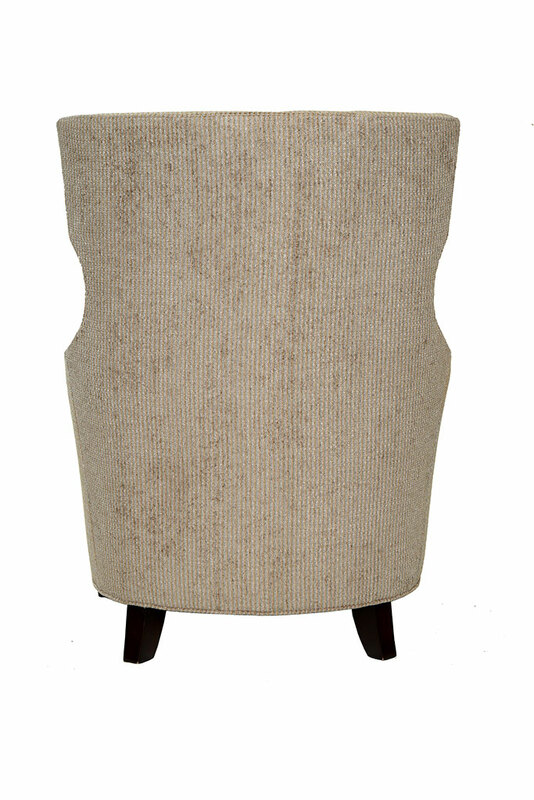 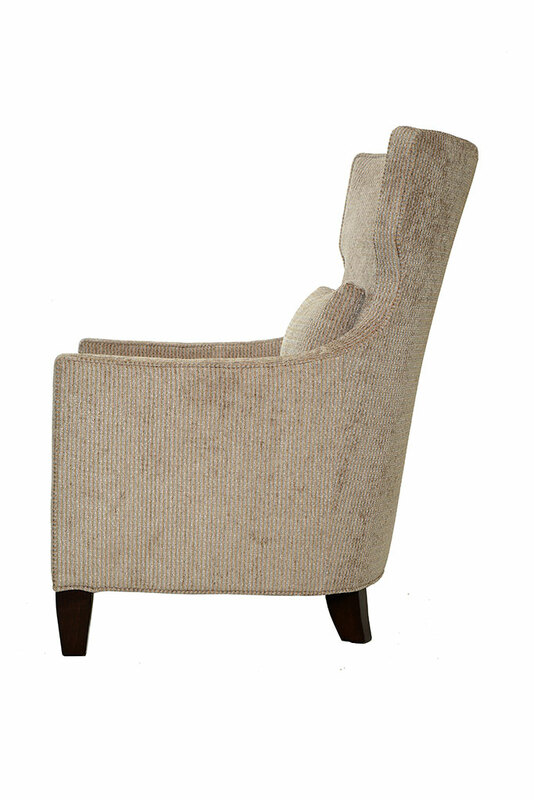 Wan Modern WIng Chair with Curve back and Accent Lumbar Cushion. 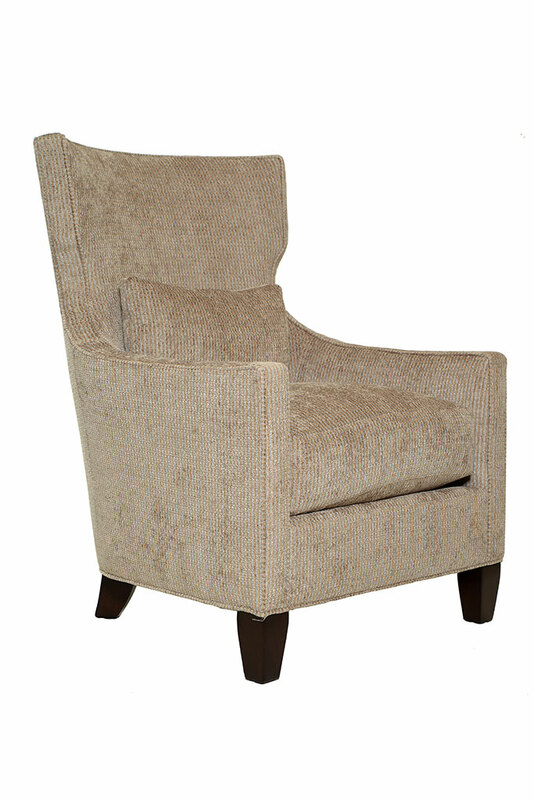 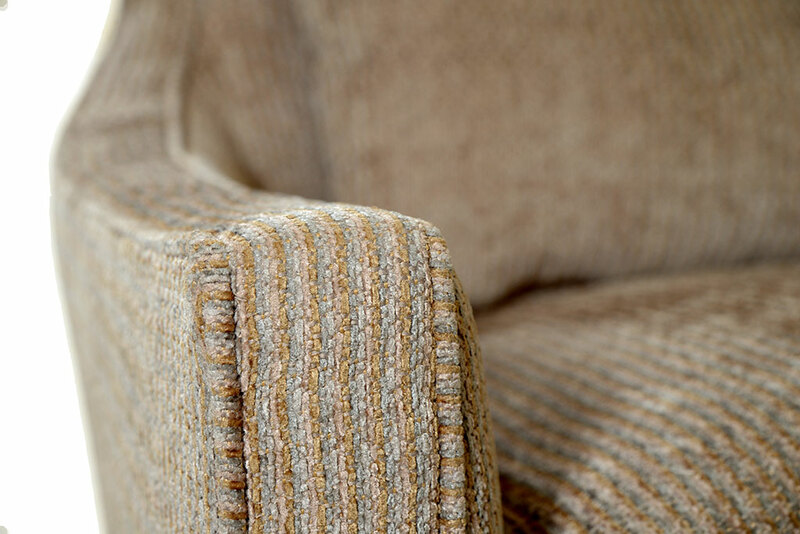 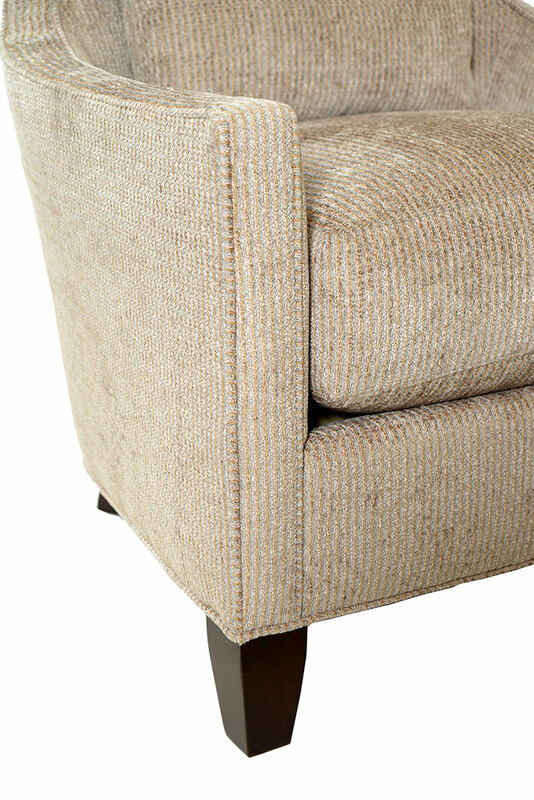 Avail and shown in Beautiful Multi-color Chenille from S-Harris. 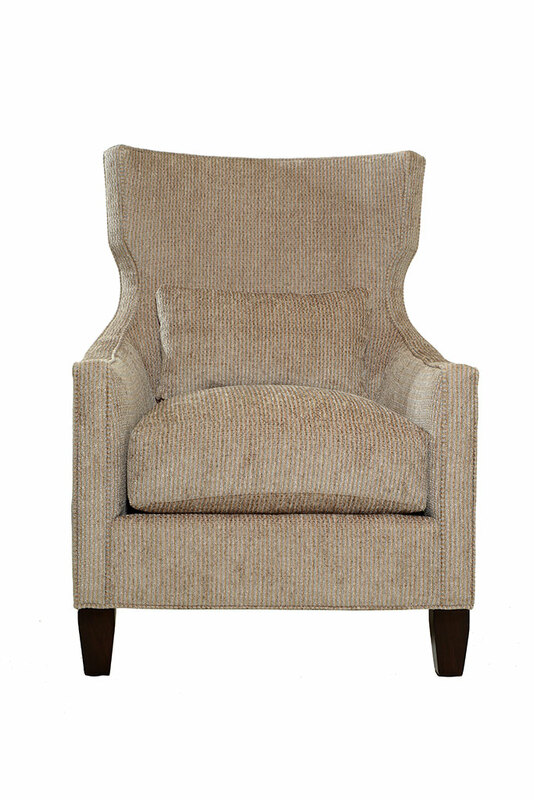 Availability: 2 * Available for custom order.